Please contact us if you're interested in volunteering! We need help constructing enclosures, cleaning enclosures and feeding the animals! Volunteering is a great way to have a behind the scenes experience with our animals, learn about endangered animals in the wild, their needs and how we can protect their species. 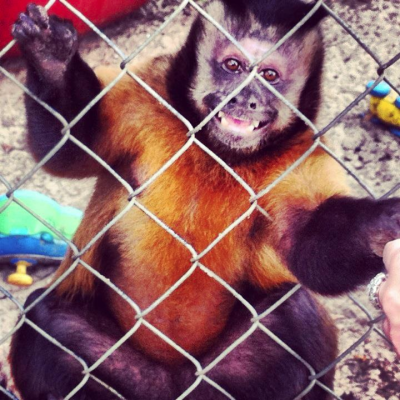 The Haven Zoo, Inc. has many volunteer opportunities available! Please contact us to let us know your interest/abilities/availability! Some of our current needs are listed below, but we are definitely open to other volunteer ideas! I am interested in cleaning/feeding the animals/constructing enclosures at The Haven Zoo. I can volunteer to help with fundraising efforts/grant writing/community donations, etc.